Do you like the new Toolbar? No, it is not useful. Not really, it isn't a great idea. It's ok for those who will use it. I like the idea, I'll use it sometimes. I love the new addition, great idea! There are now I can happily say, 2000+ posts, 38 users, over 100 topics, and over 10,000 page views that this forum has had since its creation on February 1st. I'd like to thank all of the active users for their support and help, and the staff for doing such a great job. As a new update, I've installed a scrolling toolbar on the top of the screen. Here is a quick rundown on the features of this new tool. The search box can be used to quickly find any forums relating to a particular word or phrase. You can share many things on various websites available. You can sign in and out easier. And best of all, Notifications that were much needed. Now, there are a lot of things you can be notifiwed of, and you are currently selected to have them all. To change this, click on Notifications. There is a list of options to choose from to be notified of. The toolbar can also be pushed off the screen with the up arrow located on the right. I like it,It's pretty useful IMO. Now if I could just get my well-deserved promotion. I also made it non-scrolling, so that won't be an issue. ._." @Clayton That non-scrolling really hurt my typing of the 3D Classic Sonic announcing. I had to move it to Word to get it done! Is there a way to disable getting emails for "reply has been posted in this forum"? I know about the "stop watching this" button "select one, select all" but is there a giant shut off button, that would stop all watching emails? @Clayton Thank you. Completely filled the inbox on my phone with the reply to topic emails. 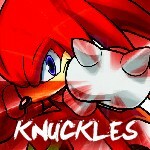 @Knuckles Currently chatting with a Forumotion person. They're friendly fellows. :3 No answer yet though. Also, I'm confused by your non-scrolling comment. I made the toolbar on the top non scrolling, nothing else. @Clayton When I wrote my 3D Classic Sonic the Hedgehog announcement, the computer I used had a slight problem I guess? When I exceeded normal length, and the scroll bar became available on the text box, it refused to stay still. I would move it down so I could see what I was typing, but the moment I started typing, the scroll bar went back up to the top. Every character it was down, up, down, up. It made typing that announcement impossible, and I exported it to word to finish. Oh, I don't have that issue on a 3ds. @Clay Thanks, and I don't have that problem on the 3DS either, only one computer I used. Seems alright to me. I personally have disabled the notifications, but that's because I'm here so much. Good job, Clay.